Speaker 2018 - FRANCISCO CONTRERAS, M.D. 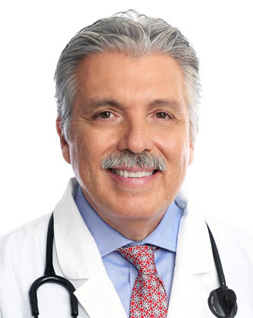 FRANCISCO CONTRERAS, M.D. graduated with honors from Medical School at the University of Mexico. He continued his education at the University of Vienna, Austria, where he specialized in Oncology Surgery and again graduated with honors. Presently, Dr. Contreras is the General Director of the internationally acclaimed Contreras Oasis of Hope Hospital located in Playas de Tijuana, Mexico. Oasis of Hope is a member of the American Hospital Association. The Contreras doctors have dedicated the last 48 years to treating patients with non-toxic Alternative Therapies. Oasis of Hope Hospital is a full Medical/Surgical Facility and has treated over 100,000 patients. Therapies offered at the Oasis of Hope include Laetrile, Autohemotherapy, Ozone, Ultra Violet Blood Irradiation, Chelation Therapy, Detoxification and others. They are administered according to the specific needs of the patient. These non-aggressive treatments combined with Emotional and Spiritual Counseling Programs have attracted patients from all over the world to the Contreras Hospital, which is the largest Alternative Medical Facility in the Northern part of Mexico. He will speak on 53 Years Of Metabolic Therapy.